SEPTEMBER – Mark Your Calendar for Everything Happening This Month! There are many different ways you can connect with others at Capital City Grace! Here is what’s happening in September 2016. I hope you will join us at any one of these gatherings! DANNY GUERENA TO START AS OUR WORSHIP LEADER SUNDAY, SEPT. 4TH! Sunday, Sept. 4th, 11am worship service, Hyatt Place Hotel, Grandview Yard. Danny leading worship and sharing his testimony. I’m excited Danny Guerena will be starting his first day as our worship leader this Sunday, Sept. 4th! Many of you said you enjoyed his energetic leading and seeing his passion for the Lord. Danny really enjoyed being at Cap City Grace and in his words, “It feels like a loving family that is open where anyone is welcome to join the family.” Danny is a young pastor in training. 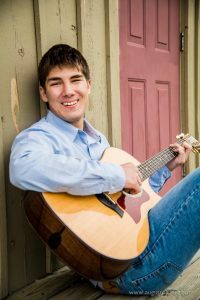 He wants to continue to grow in leading worship, preaching approximately once a month, gathering people to the church, and serving in other areas. I’m looking forward to mentoring him as we serve together as pastors. Along with leading worship on Sunday Danny will also be sharing his testimony. I’m looking forward to all of you getting to know him. He’s looking forward to joining the Capital City Grace family! Sunday, Sept. 11th, 11am worship service, Hyatt Place Hotel, Grandview Yard. Larry and Sylvia Totzke will be in Columbus visiting from Portland, Oregon. Larry will be teaching on Sunday, September 11th in our worship service. I hope you can be there on this particular Sunday to see them again or for some of you to meet them for the first time. After the service you’re invited to lunch at Jason’s Deli just down the sidewalk from the Hyatt. I look forward to a good Sunday together! Joshua is one of my favorite characters in the Bible. I really admire his courage as he led the Israelites in their conquest of the promised land. I also really admire how he served faithfully as Moses’ right-hand man for over 40 years before that as they wandered through the wilderness. Joshua was one of only two men who gave a positive report after spying out the land of Canaan. Had the Israelites followed Joshua’s and Caleb’s recommendation, they would have avoided that 40-year wilderness experience. When they didn’t, Joshua didn’t grumble or complain. He accepted God’s verdict and served him and Moses faithfully in the wilderness. Joshua exemplified what it means to be a good follower. After serving in leadership capacities for many years in Columbus as a manager, pastor, and civic leader, I have found myself for the past year as an absolute novice in the unlikely (for me) activity of dragon boat paddling. When Sylvia and I started to paddle, I quickly realized that I’d better learn to be a good follower, or I wouldn’t be accepted on the team. So I have tried to learn from Joshua and others what that means. We are really looking forward to joining you all at Capital City Grace on Sunday, September 11th, and I am grateful to Eric for allowing me to give the message. I’ll try to use the opportunity to tell you a little bit about our life in Portland and share some practical aspects of what I’ve learned about being a good follower. You’ve been given a purpose by God. Do you know what it is? Jesus has a church He calls all believers to serve within. In this series we’re going to discover together how our purpose and Jesus’ church align themselves. How can each one of us serve our purpose within the church? During this series you’ll have the opportunity to take a spiritual gifts test to help you see how God has gifted you, as well as discover where you can use your gifts to serve within Capital City Grace. God can use each one of us to establish Cap City Grace and ultimately see us grow in our relationship with Christ. Julie is looking into new curriculum for the age of children that are in our church family. More details to come on this, but it will begin on a Sunday in September! Our small groups have one purpose in mind: to connect with each other while discussing God’s Word. We have five small groups that meet at different times and places throughout Columbus. Email graceinfo@capitalcitygrace.com if interested in the time and places or view our calendar to see when each group meets. http://capitalcitygrace.org/wp-content/uploads/Danny-G.jpg 1000 667 Eric Miller http://capitalcitygrace.org/wp-content/uploads/capital-city-grace-church-columbus-ohio_02.png Eric Miller2016-09-01 11:32:352016-09-07 15:53:26SEPTEMBER - Mark Your Calendar for Everything Happening This Month!